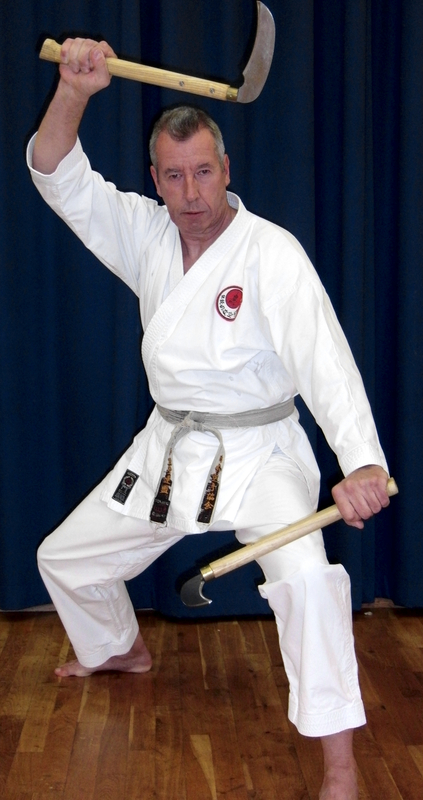 Keith Merry started training at Slough Shotokan Karate Club at the age of 16 in 1974. He trained under local instructors John Anderson & the late Mick Grey who both inspired him with their skills and dedication to martial arts. Regular gradings were taken under the renown Japanese Sensei Masao Kawasoe and in 1979 was awarded the grade of shodan (black-belt) by the late Japanese Sensei Kenosuke Enoeda. Although he participated in many competitions in his younger days Keith was never really a fan of the so-called “sport karate” but instead preferred to study traditional martial arts and more recently kobujitsu – the study of weapons. To this day his enthusiasm is as strong as ever, training at least twice a week and attending various kobujitsu courses throughout the year.